Ayanna Pressley Is Changing The Face Of Politics, Celebrates 'Surreal' Upset Win Over 10-Term Congressman Capuano + Andrew Gillum Is NOT Backing Down From Trump! Politics is starting to look a little different in 2018. More black. More feminine. Two things we all can appreciate. It looks like the days when old white men would make all the decisions are slowly progressing and we couldn't be more happy about it, especially with this win in Massachusetts. 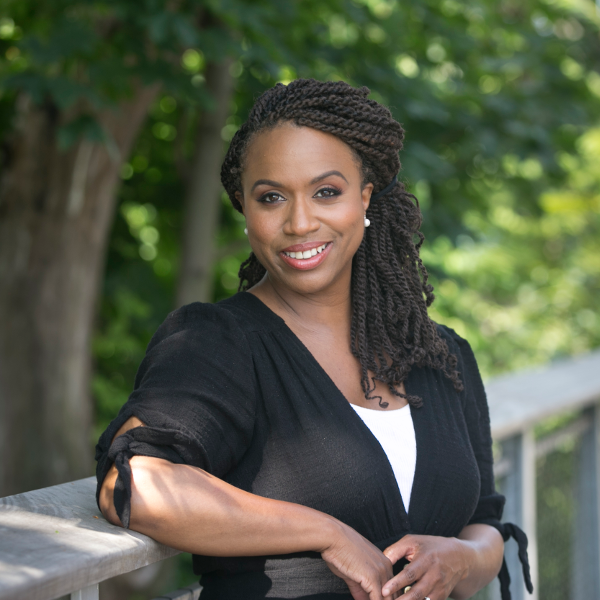 Boston City Councilor Ayanna Pressley is shaking things up! She just won the Democratic nomination for the the Massachusetts 7th Congressional District in the Democratic Primary, beating out 10-term incumbent Massachusetts Congressman Michael Capuano with 59% of votes! She was considered the underdog as her opponent seemed to have the money and the loyalty of a popular incumbent. But, it didn't matter. It's a historic win that's going down in the history books. If elected in November, Pressley will become the first black congresswoman from Massachusetts. Read that again. If she wins in November, she'll become the first black congresswoman from Massachusetts! The 44-year-old ran as an unapologetic liberal, calling for the impeachment of President Donald Trump and the abolishing of US Immigration and Customs Enforcement. "You invited us into your kitchens, living rooms. We listened," Pressley said. "We are working toward a democracy that is truly representative." Watch her celebratory speech above. Pressley's election to the Boston City Council in 2009 marked the first time a woman of color was elected to the Council in its 100-year history. This laid the foundation for Ayanna’s groundbreaking work, with which she has consistently strived to improve the lives of people that have too often been left behind. Women of color are demanding political power...and winning. She joins the ranks of candidates of color and women who have been killing it in the political races this year. A number of black women have won their primaries this year, including Stacey Abrams, who's running for governor in Georgia, Lauren Underwood, running for a congressional seat in Illinois, and Jahana Hayes, who's also running for a seat in Congress from Connecticut. Women of color have been underrepresented in politics since forever and we're SO glad things are finally starting to change! "Change Can't Wait!" Right after Florida Democrat Andrew Gillum won gubernatorial primary (defeating former Rep. Gwen Graham and several other candidates), Trump is already after him. However, he's not backing down. If the 39-year-old Tallahassee mayor is elected in November, he would become Florida's first black governor. Woot! After Gillum's historic win, Trump got his Twitter fingers to work, calling Gillum "a failed Socialist mayor" and the "biggest dream" opponent for DeSantis. He also made claims that Gillum allowed "crime & many other problems to flourish in his city," and that he's not what Florida needs. Well, Gillum isn't going to be bullied and he wants Trump to know that he's up for the challenge. "This president gets off on intimating and pushing people around, but I want him to know he has met his match," he told CNN. Let them know! By the way, Republican Rep. Ron DeSantis, who won the GOP primary with Trump's endorsement, made a racist comment about Gillum on Fox News after his appearance. DeSantis said, "The last thing we need to do is to monkey this up by trying to embrace a socialist agenda with huge tax increases and bankrupting the state." 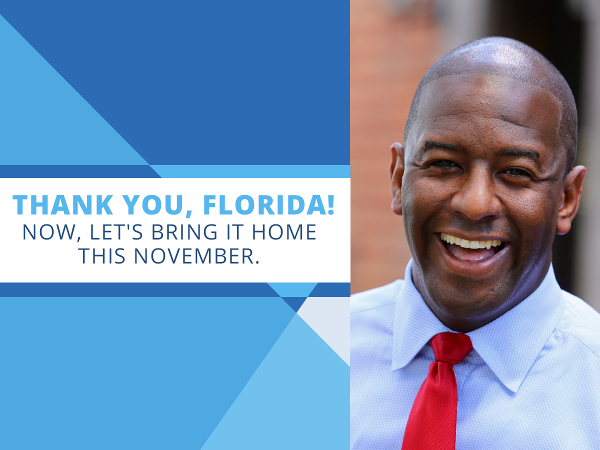 We need you all in Florida to ROCK the vote this November!